A great result for Diego Ramos Maneiro from Spain by winning the Manege De Hazelhorst Prize. 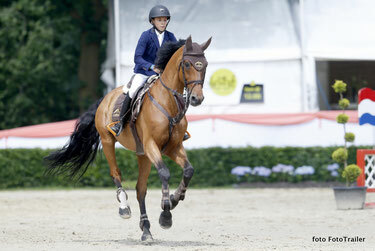 In this Big Tour class for Children he was the best with Brisa de Montemeao. For The Netherlands Madee Schuttenbeld and Beau Schuttelaar finished 30th and 31th with one pole down in the 2nd phase.